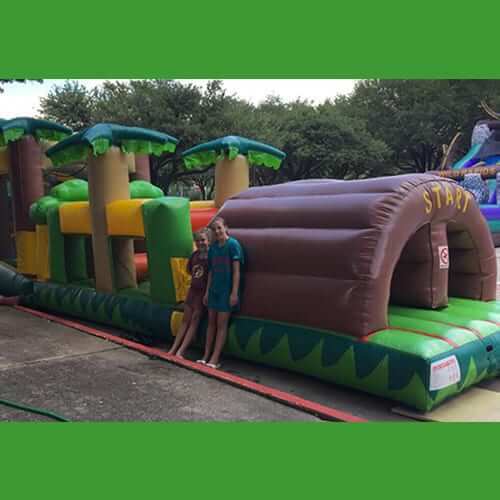 This Tropical Obstacle Course is a favorite in Dallas. 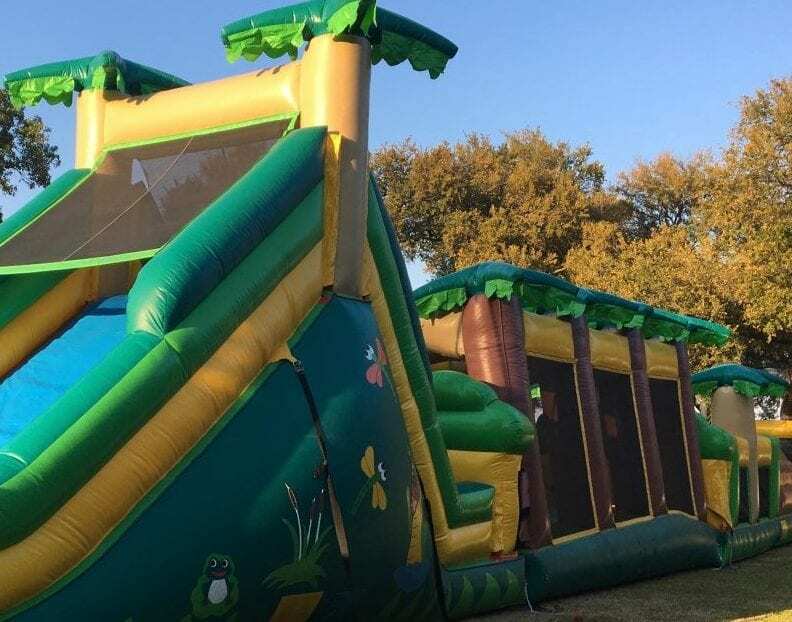 This obstacle course rental has a water midsection. Also, the inflatable includes a bounce house combo. This is not an ordinary obstacle course. Players start by going through tunnels. The players then crawl their way to a cooling mist slip & slide. Finally, they go up a climbing area and slide down a slide. This obstacle course is great to keep the kids active. The kids will also stay cool on the hot summer days. 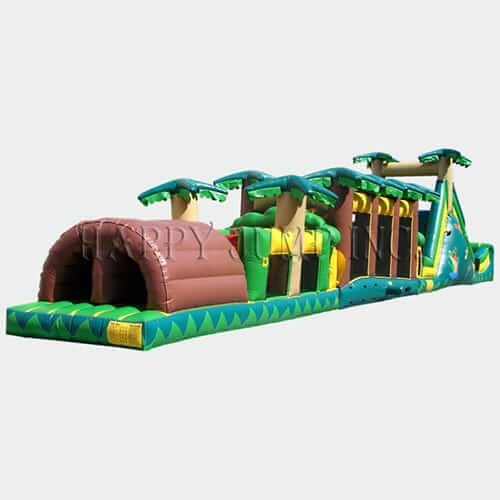 This obstacle course can be used dry slide on cooler days. Most parks do not allow wet slides or bounce houses due to the water requirements. This obstacle course can be used either wet or dry. Looking for a smaller combo water obstacle course? Try the Princess Wet/dry combo.